Dr. Trotter has always liked Hot Wheels. When he was growing up, you could find him and a bunch of his buddies either racing, collecting, or trading Hot Wheels most everyday. During the summer, he would set up elaborate tracks both inside and outside the house. One day, Dr. Trotter was asked to do some orthodontic work for the daughter of Larry Wood. Mr. Wood lives in Redondo Beach and is known as the Father of Hot Wheels. He still consults with Mattel today in designing modern Hot Wheels. 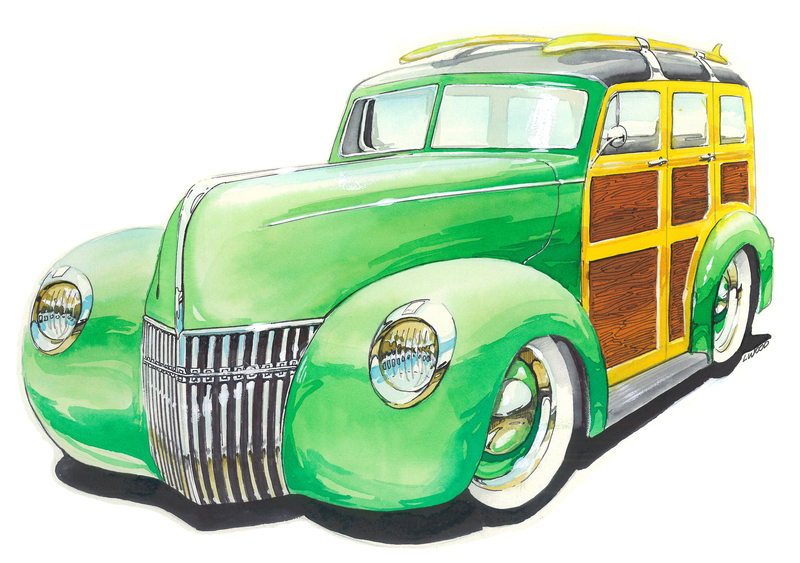 Dr. Trotter was able to convince Mr. Wood to design a custom logo for Dr. Trotter (if you look closely, you can see the braces on the grill of the "Woody"). When you visit Dr. Trotter's office, make sure to look for his collection of Hot Wheels and trains that he used to play with. They are near the movie room!